Most farmers are mid 50s or older, with kids either already grown and moved out of their family estates or better yet achieving a profession as a translator, educator, or fields unrelated to what their parents and ancestors before them have done for ages. Culture plays a ginormous role in any life style and life aspiration. People have different perception in agriculture, mainly due to the economy. More for money, profit, and to generating income for living, many of the young have turned away from agricultural profession. Not believing in being able to make profit, thinking not much of a life style, and reassuring to themselves that it will ‘fix’ itself without them, without their family (farmers) there are no reinforcing players to put emphasis on an undermined activity. With no one to take over the farms, as soon as the present generation of farmers pass on, there will be no one to pass on to. Perhaps another family will “buy-out” or take over, or maybe their sons or daughters will have a change of mind, or maybe – though unforgiving -, but maybe a corporate chain will take over and add on to its other field of inefficient, over exhausted, under-qualified, and under developed olive trees kept in numbers absolutely not for quality. Within the next 50 years, with this sort of continuing trend, while overlooked and mishandled, will eventually lead to the demise in Italian agriculture. The rare and the few available products out there, finest and hearty olive oils, will become nil and soon will we accept the form of super market, big chain oils as “The” quality olive oil. This is not just another parallel sad tale to an American dream, this is factual, conflictual, and overlooked. The more we start to turn away from outside the box, the more harm we start to inflict indirectly. Taking measures to go local and become environmentally conscious is one thing, but inexplicably ignoring the other effects we are causing is detrimental and “life” threatening. Helping the little people and small businesses prosper should still count for the “small” exporters around the world who requires outside help to continue on tradition, agriculture, culture, and moreover a reason. 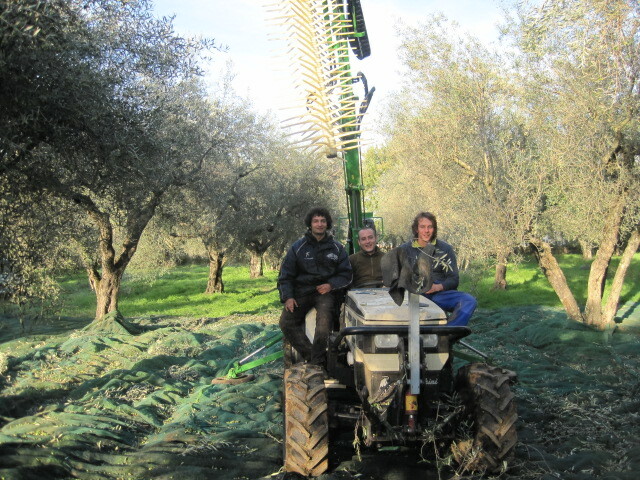 This entry was posted in reasoning, The Real Life and tagged Agriculture, Business, Italian issue, italy, olive oil by Anti-Berlusconi. Bookmark the permalink.